Which Startups Should Jump Into the 'Shark Tank'? Which startups should jump into the ‘Shark Tank’? As child refugees from Lebanon, Donna and Rosy Khalife knew how to get creative. Growing up in Canada, then Massachusetts, their dad taught the sisters how to engrave plastic, recycle metal and create art using global stamps and coins. 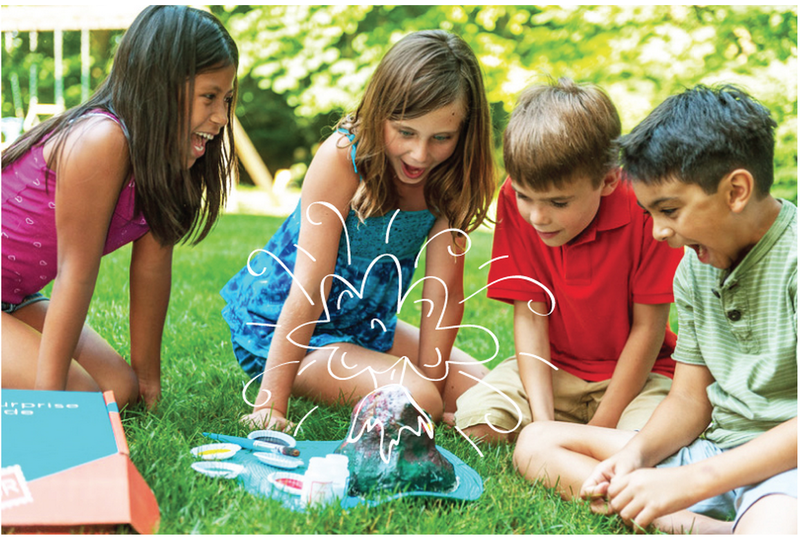 That sense of inspiration through organic play became the value proposition for Surprise Ride, a monthly subscription service which offers thematic play for kids ages 6 to 11. Thanks to an appearance on Shark Tank last year, the Washington, D.C.-based startup has smashed yearly targets and will launch an e-commerce site next month. In less than two years, Surprise Ride has grown from a startup founded with $5k into a full-fledged business. But long before they swam with the sharks, the Khalife’s found their resolve tested. After their acceptance to the Betaspring accelerator program, they heard through the grapevine that Shark Tank’s producers were looking for startups. They chose to apply on a whim – and once the producers showed interest, the sisters had to prove themselves. For Surprise Ride, the products involved were more than just their own. Products from several brands appear in each Surprise Ride box. Normally, Shark Tank’s producers get legal clearance for products to appear on the show. But the Khalife’s had to get clearance themselves – a process that involved calling each vendor to confirm that their products could feature on Shark Tank to be at the mercy of Cuban and Co. Despite sticking their necks out for Shark Tank, Donna and Rosy would repeat it in a heartbeat. But they also feel strongly that it’s not for everyone. So, which businesses should swim with the sharks? Startups that truly need capital. …But, like any investment meeting, Shark Tank can go sour – in front of millions. Luckily, their segment did, and Surprise Ride is reaping the rewards in spite of Robert Herjavec’s rescinded investment offer. One year after their segment aired, the sisters still get stopped on the streets of D.C. More than once, they’ve been asked how other founders can follow in their footsteps. Both sisters want to be honest – but also believe that if entrepreneurs have risked all for an idea, then the battle is half won. This post is part of Web Summit ’s Global Blogger’s Network, a series of articles on startups in the Washington, D.C. Metro area. The 4th annual Web Summit kicks off in Dublin on November 4.